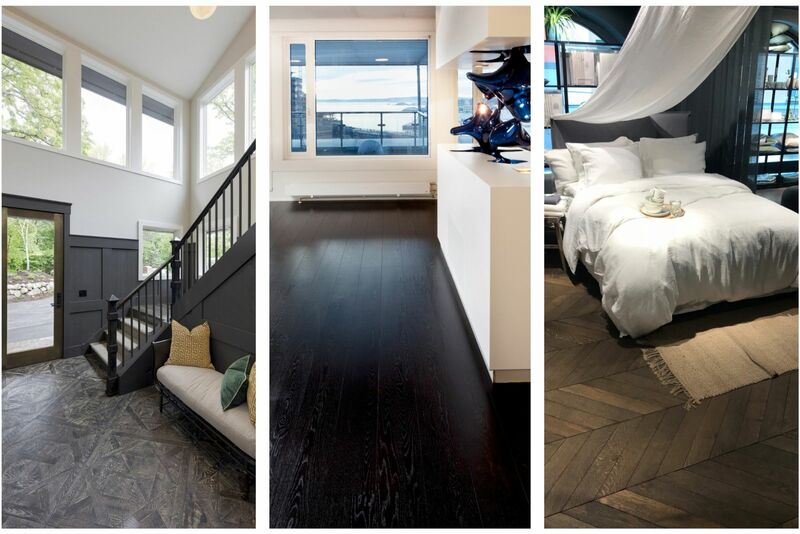 When you hear about trends, floors aren’t probably the first thing that come to mind. And still floors are also subject to trends. These trends are more than just the umpteenth short-lived interior trend. Floor trends tend to be longer term trends which last quite a while. 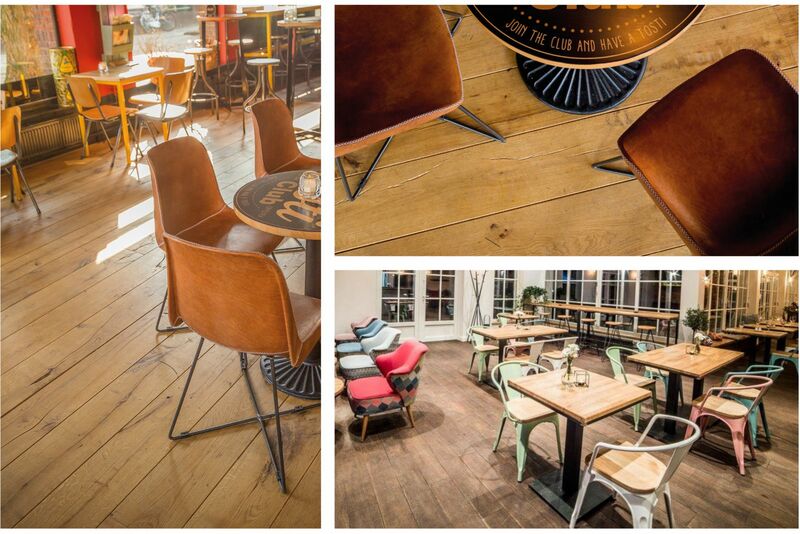 So for the last few years we have seen the emergence of the Scandinavian trend in wooden floors. This trend manifests itself in a soft natural look, which radiates warmth and authenticity. This Scandinavian trend is part of a wider trend which has kept coming back over the last few years, a trend which strives for authenticity, robust and characterful boards with a warm and natural appearance. Below you will find a few tips to help you realize this kind of trend. And what about patterns? Is that still contemporary? Definitely! With the popular herringbone pattern leading the way, patterns are totally back in! There are also a few really creative and hip trends right now. Colourful patterns on parquet and the tile-wood combination, for example are getting more and more popular. How to give your floor a Scandinavian look? Scandinavian designers swear by light-coloured types of wood such as oak. A pale neutral wooden floor makes the space open and pure. It also gives the floor a soft character. The pale floor colour immediately focuses the attention on the architecture and design of the space. 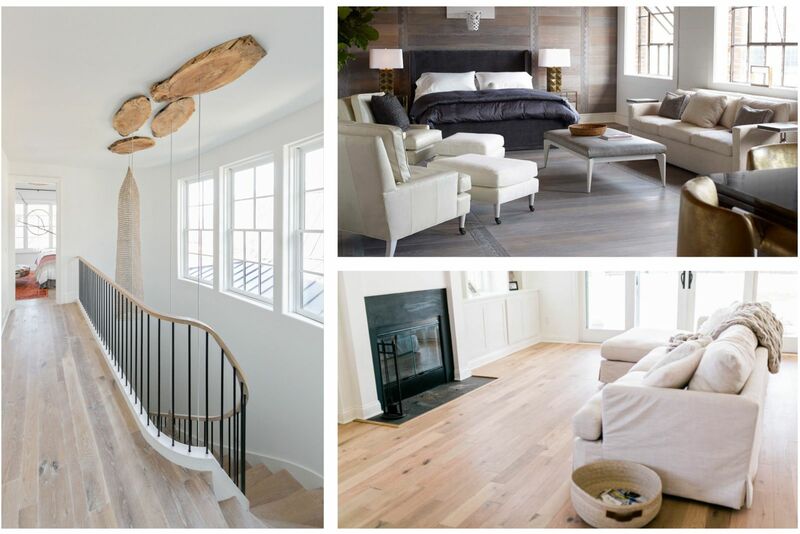 To make your oak floor paler or greyer, you can get going with Rubio Monocoat Precolor Easy. Opt for long, wide white oiled oak boards if you want to achieve the ultimate Scandinavian effect and be right on trend. Lots of people want an authentic parquet floor with character, a parquet which looks natural but is still hardwearing, strong and new. You can also create this kind of look with a new parquet floor by selecting boards which are pre-structured using a specific technique. This gives the wood an uneven structure and a rustic look. In our new King of Colours tool you can try out different finishes and discover for yourself what effect these have on the chosen colour. You can also create the robust and authentic look by using a pigmented oil on your floor. The oil will highlight the characteristics of the wood even more. The grains, knots and other features will be emphasised. So not only will your floor immediately look authentic and robust, it will be too because it gets extra protection from the oil. There are hundreds of laying patterns, but the herringbone, Hungarian Point and Versailles patterns are without a doubt the most popular. In the past, the patterns were very exclusive and were used widely in stylish mansions or castles. Today the patterns fit into any house, both with classic and modern interiors. It can give an elegant classic twist to a modern space. And conversely, a unique pattern can also result in a very trendy look in a classic room. These laying patterns are sure to take your room to the next level. Find out more about the three popular laying patterns here. Creative trends are also happening in the world of floors. Ever thought about a combination of tiles and parquet? This extraordinary combination results in a very stylish and unique floor, and is very fashionable. For example, this can be a unique and practical solution for bathrooms: you can lay tiles in the areas which are often wet, and wood in the drier zone. 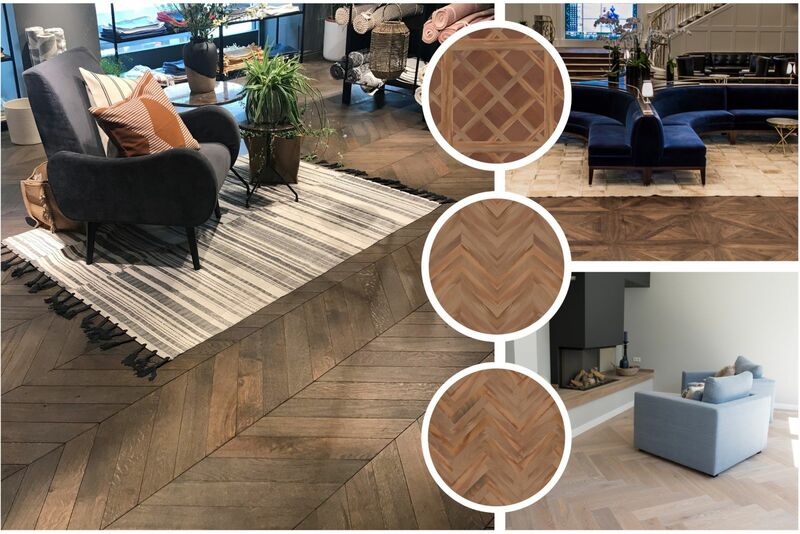 Lots of combinations are possible: hexagonal tiles with parquet, a herringbone pattern alternating between wood and ceramic tiles, with or without tapering in the transition... The choice is yours! Would you prefer not to integrate tiles into your floor, but you do like the idea of an accent which breaks up your parquet pattern? Then you could try colouring individual boards in the pattern using oil or paint. This leads to a playful, creative and unique result! Do you really want to make a statement? Then treat your wooden floor with a black oil. This gives a very chic and stylish impression. The black will be a contrast to any other colour in your interior, and all colours will be in the spotlight because of the black floor.